Internal Medicine Associates of West Atlanta, PC (Atlanta) - Book Appointment Online! 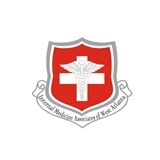 The mission of Internal Medicine Associates of West Atlanta is to deliver the highest quality healthcare in a warm, caring, and compassionate environment. We are committed to promoting the health and wellness of our patients through evidence-based medicine, modern practice technology, and altruism. Our approach is to provide comprehensive medical care with a personal touch and achieve excellence in your healthcare through our dedication. ***NOTICES*** 1) Please call the office to reschedule, please do not do so on ZocDoc. 2) The office requires 48hr notification of cancellation, a $50.00 fee applies. 3) Please do not book going over lab results on ZocDoc, please call the office. Thank you for your cooperation!